He studied singing under Elisabeth Wolff in München and made his debut in 1939 at the Stadttheater in Graz in R. Strauss’s ‘’Rosenkavalier’’. In the 1941-1945 seasons he was engaged by the Staatsoper in Dresden and joined in 1946 to the Bayerische Staatsoper in München. On 9. 8. 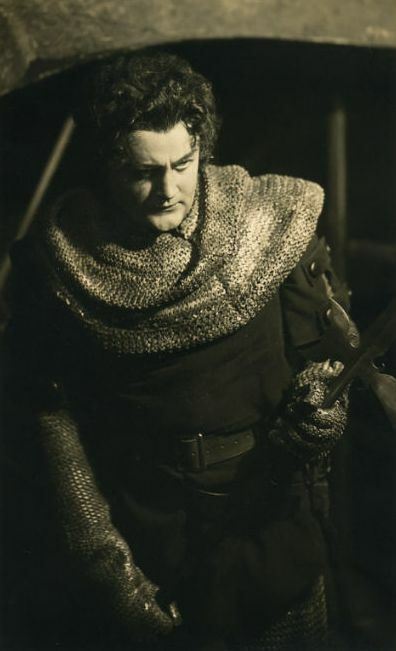 1949 at the Salzburg festival he sang the role of Haemon in the premiere of the opera ‘’Antigonae’’ by Carl Orff. Here he appeared as soloist in G. Rossini’s ‘’Stabat Mater’’ (1949/1962). He returned for the ‘’Schöpfung’’ of J. Haydn (1951), after two years sang also in ‘’Judas Makkabaeus’’ of G. F. Händel. In 1964 he guested in ‘’Christus am Ölberge’’ of L. van Beethoven, in 1967 in W. A. Mozart's ‘’Requiem’’ and took over in 1949 a small part in performances of ‘’Zauberflöte’’. Guest performances led him to the famous opera theaters of Italy, Austria, Belgium, Holland and Switzerland, also to the Scandinavian lands and South America (Teatro Colón, Buenos Aires, 1951). At the Teatro del Maggio Musicale Fiorentino he sang in 1951 the part of Golo in ‘’Genoveva’’ by R. Schumann (the Italian première of this opera). In the 1951-1952 season he appeared in several parts at the Arena di Verona. In 1953 he appeared at the Covent Garden among other things as Apollo in the première there of the opera ‘’Die Liebe der Danaë’’ of R. Strauss. Still in 1976 he performed at the Staatsoper in München in the premiere of the opera ‘’Die Versuchung’’ of Josef Tal. In 1977 he appeared for the last time in München in ‘’Rosenkavalier’’. His repertoire included Radames in ‘’Aida’’, José in ‘’Carmen’’, Lohengrin, Duke in ‘’Rigoletto’’, Walther von Stolzing in ‘’Meistersingern’’, Alvaro in ‘’La Forza del Destino’’, Pinkertton in ‘’Madaa Butterfly’’and Cavaradossi in ‘’Tosca’’.